Trade shows and expos are one of the most lucrative B2B marketing strategies. They are a great venue to display your company’s latest products while interacting with potential clients. You may even find a potential industry partner. That is why elegant trade show displays are important for commanding the attention of your target audience. A well-designed trade show display boosts brand awareness and brings more clients to your business. For a trade show displays, visitor’s first impressions always matter. A first time client can create an opinion of your brand based on the professionalism of your company’s exhibit. Apart from this, customers should also get an idea of your features, products, and services. You should take into consideration what you want your visitors to feel from the first glance of your stand. At ExpoMarketing, we are dedicated to providing you with quality designs that will help you express yourself in the best possible way. What does your company offer? Why should customers pick you? Which is your target market? Although a good booth should answer these questions, you should not overload it with visual information. Exhibit attendees spend a little amount of time viewing your exhibit; therefore, overloading it with information can make it look messy. In a single trade show, there can be hundreds if not thousands of companies displaying their products and services. Standing out from such a large crowd can be a daunting task for many exhibitors. This is where creativity and brand colors play a big role in helping you to stand out. Your booth needs to be informative and at the same time attractive. 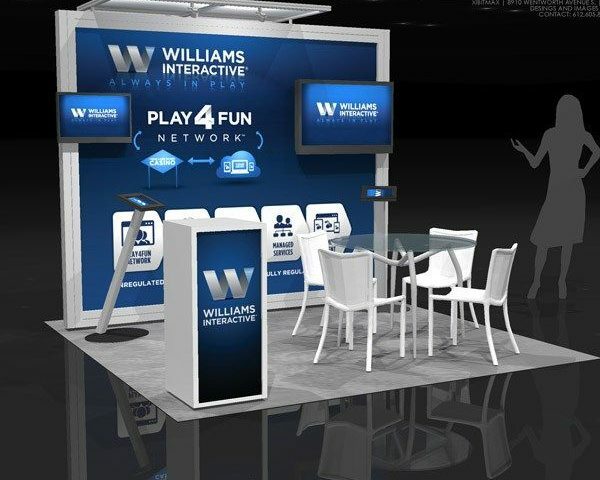 A professionally designed booth helps spread your message while uniquely identifying your company. Motion graphics are a good way to appeal to passersby. In the end, these factors can turn around your entire marketing campaign into a successful one. Creating a professional trade show display from scratch requires a lot of skill and experience. A good designer should have adequate knowledge of the show regulations, building materials, booth layout, proper use of graphics and the message you intend to project to clients. At ExpoMarketing, we have been providing amazing, customized solutions for trade shows across the United States for many years. We are dedicated to delivering quality design s to all our clients and our design ability has been unrivaled up to date. If you prefer personalized and detailed designs, then ExpoMarketing is the company for you.